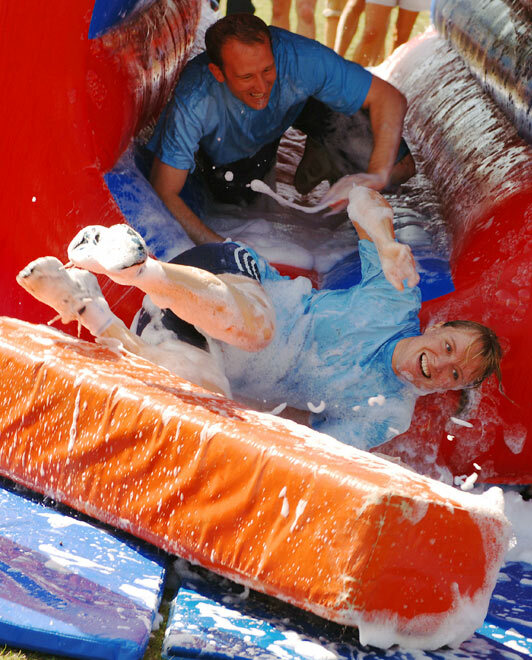 Wacky, wet and hilarious team fun when you take part in Its a Knockout! This is THE competition to have your Family Fun Day event, where the teams come head to head on a fantastic range of vibrant games. Based on the famous 1970's TV show our It's a Knockout tournament is always a favourite! The format and structure of the competition may vary depending upon the amount of attendees you have taking part. It may be run as one large Its a Knockout or 2 smaller tournaments depending upon the format we decide would fit best for your day. We will work with you to create a plan to suit. Smiles and lots of laughter is guaranteed! Oh....and foam!